Under pressure to change its policies or lose the right to host golf at the Tokyo 2020 Summer Olympics, an exclusive golf club has now accepted three women as full members, breaking with decades of gender discrimination. 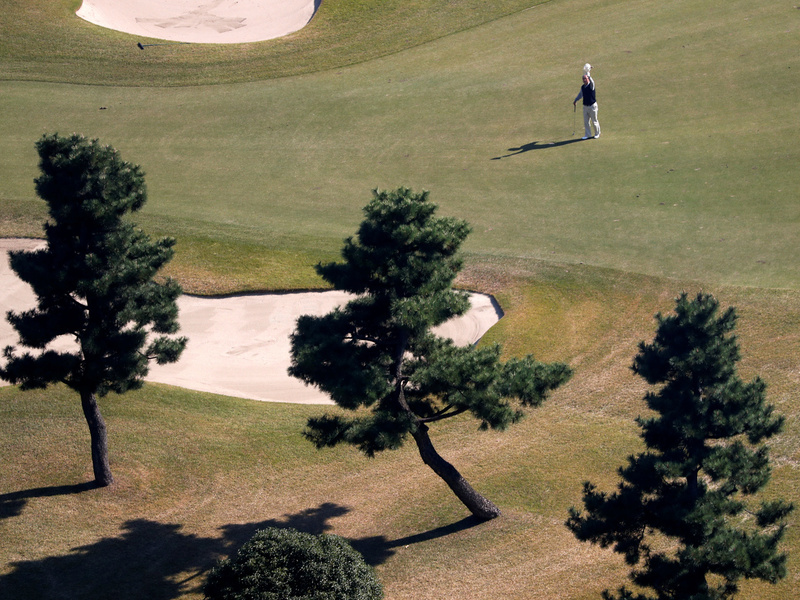 Founded in 1929, the private Kasumigaseki Country Club was picked to host the men’s and women’s Olympic tournaments. But the International Olympic Committee reiterated last year that if the club wanted to host the Olympics, it would have to change. Women have been allowed to play the club’s two 18-hole courses – but never on Sunday, and not as full members. The club voted to change its membership rules last year. Shaded by large pine trees, the lush course is dotted with dogwoods and hydrangeas. It’s where President Trump played with Prime Minister Shinzo Abe when he visited Japan in November. And it’s been gearing up for the Olympics, including a course redesign by Tom and Logan Fazio in 2016. “It always understood it would have to be gender equal,” IOC Vice President John Coates said of Kasumigaseki in early 2017. But Coates also said time was running out for the club’s members to adapt. Despite the public pressure, the Tokyo-area club has largely avoided the outcry that hit Scotland’s historic Muirfield golf club – which was tossed from the British Open’s rotation of venues in 2016, after its members voted to preserve its 270-year-old ban on women becoming members. The club lifted the ban in 2017, after a second vote. Like many prestigious courses, Kasumigaseki has a strict dress code. For much of the year, a blazer or jacket must be worn at the time of arrival, for instance. There are also standards for covering the legs. Both men and women can wear shorts – provided they end above the knee and are not too short. Only women can wear sleeveless shirts. Anyone who pops their shirt collar up out on the course must know that “the collar should be turned down in the clubhouse,” the rules state.